Show me reboot MH pets! Just as the title says Haven't seen the Ghoul's Beast Pet dolls over here yet so I'd love to see their pets if anyone has any photos of them! I haven't seen too many pics of them online yet, heh. Re: Show me reboot MH pets! And if you have originals AND reboot, show them side by side! Thanks! Not sure how much this will help, but front and back of Cleo's kitty with the gold pet dish that came with it. I actually never really noticed the spots on the back, but I never really looked too much at it. Ah! Konzern, those are great! I had no idea she had spots on her back either, ooooh. So cute. Glad to help a little then! I really like Cleo's kitty and bowl. 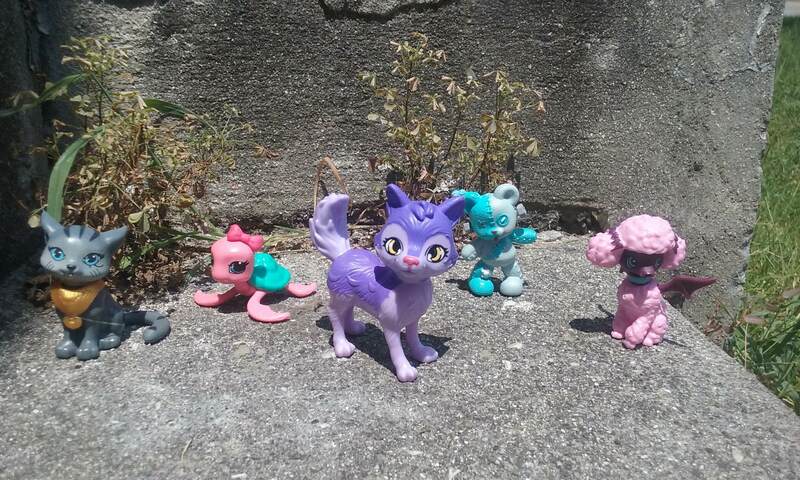 Does anyone have any photos of Draculaura's poodle? Or any of the other pets? OMG, Cleo's kitty is such a cutie! *_* Really want her now! Now that I've got the whole lot of them, here you go!